IFRSs, the standards set by the International Accounting Standards Board (IASB), are complex and sometimes obscure. Understanding their implications and applying them appropriately requires something special; and that is why International GAAP® 2017 is the essential tool for anyone applying, auditing, interpreting, regulating, studying and teaching international financial reporting. It provides expert interpretation and practical guidance for busy professionals, and includes, in every chapter, detailed analysis of how complex financial reporting problems can be resolved appropriately and effectively. The International Financial Reporting Group of Ernst & Young includes financial reporting specialists from throughout the world. Complex technical accounting issues are explained clearly in a practical working context that enables immediate understanding of the point at issue. International GAAP® 2017 is the only globally focused work on IFRSs. It is not constrained by any individual country’s legislation or financial reporting regulations, and it ensures an international consistency of approach unavailable elsewhere. It shows how difficult practical issues should be approached in the complex, global world of international financial reporting, where IFRSs have become the accepted financial reporting system in more than 100 countries. This integrated approach provides a unique level of authoritative material for anyone involved in preparing, interpreting or auditing company accounts, for regulators, academic researchers and for all students of accountancy. All aspects of the detailed requirements of IFRS are dealt with on a topic-by-topic basis. 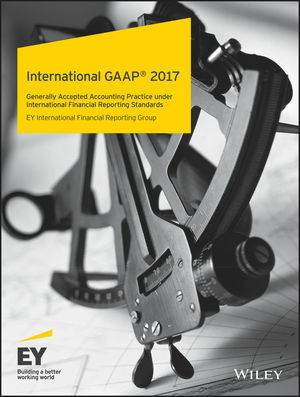 Each chapter of International GAAP® 2017 deals with a key area of IFRS and has a common structure for ease of use: an introduction to the background issues; an explanation of relevant principles; a clear exposition of the requirements of IFRS; a discussion of the implications in practice and possible alternative solutions available; worked examples; extracts from real company accounts; a full listing of the required disclosures. Ernst & Young is a global leader in professional services with some 114,000 people based in 140 countries. Around the world the firm is committed to pursuing the highest levels of integrity, quality, and professionalism in delivering a broad inventory of services to their clients. By connecting their people's talents, Ernst & Young provides solutions to clients based on financial, transactional, and risk-management knowledge in its core services of audit, tax, and transactions. The International Financial Reporting Group of Ernst & Young includes financial reporting specialists from throughout the world.